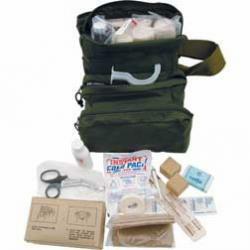 The M3 Medic Bag is a GI style issued kit that folds out three ways for easy and quick access to all your first aid supplies. The bag measures 8''x7''x9'' is made out of nylon, has a shoulder and M.O.L.L.E. straps. The complete FA108 weights 3.9 lbs. • 2 Bandage Gauzes, 2''x4.5yds. • 4 Abdominal Pads, 5''x9'' . This is the perfect bag to base your jump kit out of if you really like to travel light. It came with a great base supply of gear. And totally worth all I paid for it. I have invested another 40 buck in more gear to put in it and now its perfect for me a WFR. 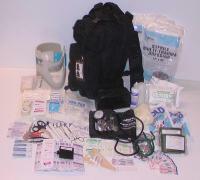 This is an excellent medic bag with everything expected in a bag of this size. As a physician, I just added some prescriptions, epi pens, suture materials and I have a perfectly capable set of supplies for excursions. Its construction seems sturdy and it's quite compact. I definitely recommend this bag! I keep it in my car. It is one of the best I have seen. It has it all and I thank God I have not had to use it. But if I needed it, " it would save lives"! 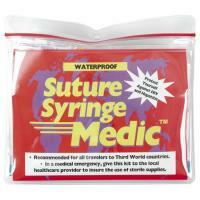 This is an excellent medical kit at a fair price. 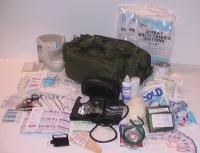 It has just about all you need to provide first aid care in a handy, rugged tactical-style tote. I highly recommend this kit! 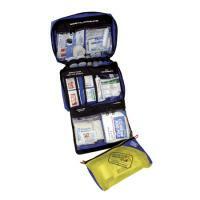 I was pleased to see that this kit was well stocked with all kinds of useful gear . Great for grab and go on the job site or at home . 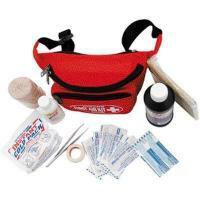 I would recommend it as a start to building a med kit that any EMT or Paramedic would find useful to have on hand . I bought it as a gift for my brother, an EMT and army reserve medic. He bragged on the quality and the contents. It is our mission to develop and manufacture high quality products that will ensure the safety and health of anyone who might find him/her self in the midst of harm or danger.